When you think about protecting or improving your health, how much thought do you give to things like brushing your teeth and seeing the dentist? If you’re like many people, the answer is probably very little. You might be surprised to learn just how much your oral health influences your overall health. According to recent research conducted in Thailand, researchers found that people with a body mass index (BMI) of 23 or higher had more than four times the rate of gum disease as their lighter weight peers, while the rate of gum disease was almost six times as high in those with BMIs of 25 or greater. When researchers controlled for factors such as exercise habits, smoking, and blood sugar levels, the associations dropped slightly to 3.6 times and 4.5 times, respectively. The reason for this is not clear, but the same study found that those overweight individuals also had higher levels of inflammation. In fact, the researchers were not able to definitively conclude a cause and effect relationship between gum disease and obesity in either direction. However, researchers suspect that the relationship may be a two way street, at least in some respects. For example, it is known that diabetes can worsen gum disease, and that those with gum disease have more trouble with blood sugar levels. The problem of gum disease extends beyond obesity, as those with gum disease are also more likely to develop heart disease and diabetes. People with gum disease tend to have more difficulty regulating their blood sugar levels, and about 22% of those with diabetes have gum disease. Inflammation is responsible for a host of other conditions, including cardiovascular disease and even some cancers. Other research has found that inflammation, including that related to obesity, has been found to interfere with the body’s ability to regulate the immune system. Surprisingly, gum disease has been shown to be influenced by the immune system, meaning that some individuals, particularly those who are obese, are more susceptible to the bacteria that cause cavities and gum disease that those with healthier immune systems. In the United States, this has become a troubling trend even in young children. Gum disease has also been associated with increased risk of stroke and may increase risk of dementia, memory loss, lung disease, pneumonia, pregnancy complications, premature birth, and may even shorten life expectancy. After brushing, your mouth and teeth feel nice and clean. Within hours, however, plaque begins to coat the teeth. The normally occurring bacteria in your mouth love plaque, as it provides a nice cozy place for bacteria to multiply. If not removed frequently through thorough brushing and flossing, the bacteria work their way under your gums and into your bloodstream. As long as they stay in your mouth, these bacteria are harmless. When they enter your bloodstream, your body begins to try to fight off the invader. As long as the bacteria keep entering the bloodstream through the gums, it is never quite able to finish the job. 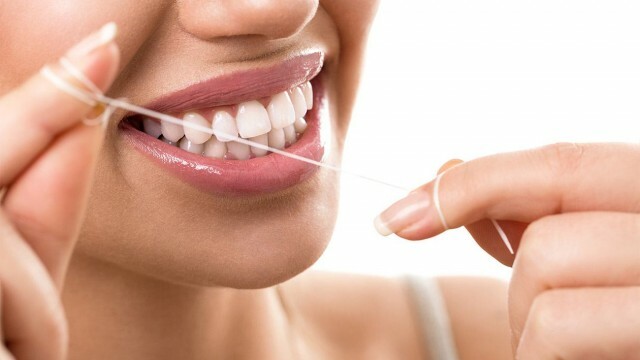 As it turns out, proper brushing and flossing can do more than prevent painful cavities, it may improve your health, help you slim down, and may even prolong your life. If you’ve been neglecting your oral health, now’s the time to call your pain free dentist at Westside Dentistry to arrange an appointment on 07 3278 0580. This entry was posted in Dental, Health and tagged gum disease, gum health, oral health.